During our time spent in Colorado and Wyoming, we had enjoyed lots of cool days and colder nights. 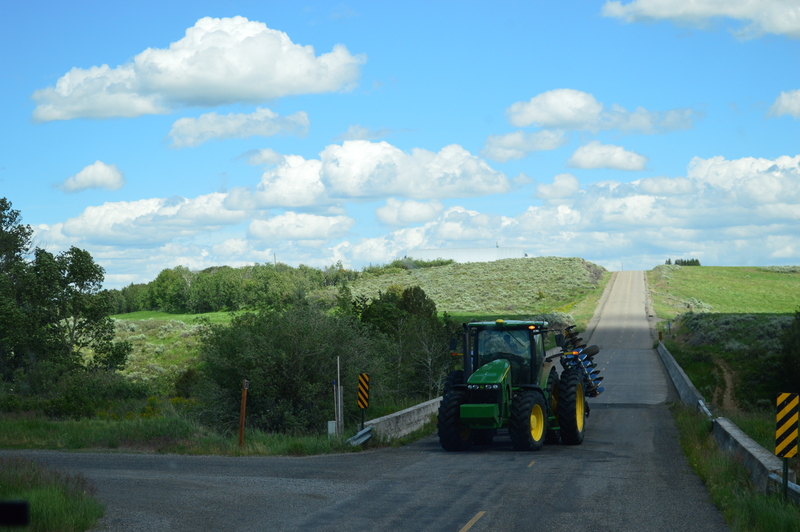 In debating where to head next, we decided to go west through Idaho. We did not, however, check a weather forecast. Big mistake! We drove smack into the heat wave that is plaguing the midwest, and it ended up cutting our trip short. 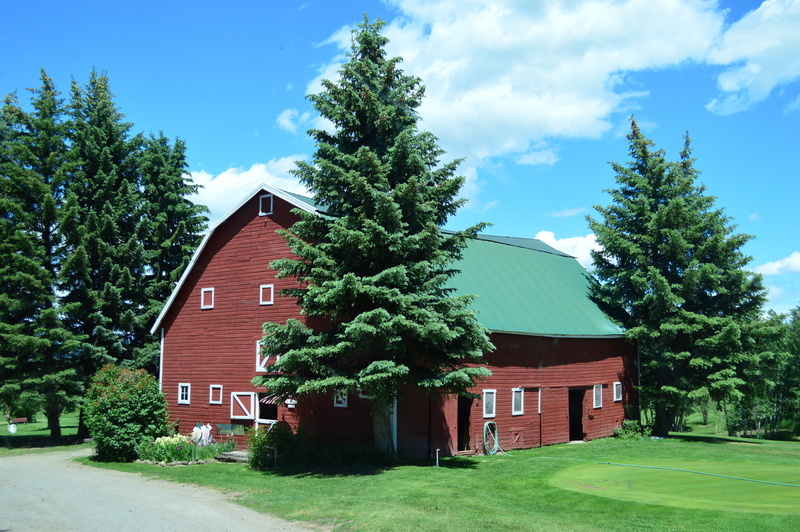 Our first stop was the Aspen Acres RV Park in Ashton, which we picked just because of location, but we loved it. It’s a charming little place with lots of trees for shade – and a 18-hole golf course! We don’t golf, but we had nice quiet spot where I could catch up on laundry and do some RV cleaning. We went to Twin Falls next, and that’s where the heat caught up with us. Luckily we had a great place to stay that night. We are members of a group called Harvest Hosts, which is a network of wineries and farms that will allow you park your RV overnight for free. In exchange, you’re asked to make a purchase at the place where you stay. This was our first time using Harvest Hosts, and we had a great experience. 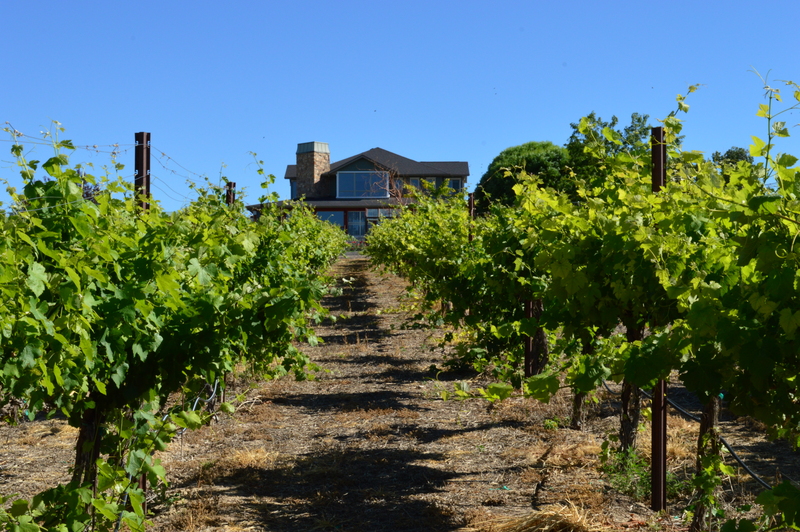 We stayed at Snyder Winery, and the owners, Russ and Claudia Snyder, were extremely friendly and accommodating. There were no hook-ups, but a very large tree with lots of shade. Russ met us there and told us we could walk anywhere on the grounds, and also told us to make ourselves at home. Another RV couple showed up about an hour after we did, and we joined them that night on the lovely patio to enjoy the wine we purchased from Russ. There is also a steakhouse at the winery, but it wasn’t open on the night we were there. I wish I had taken more pictures – the place was very beautiful and the cabernet was delicious! 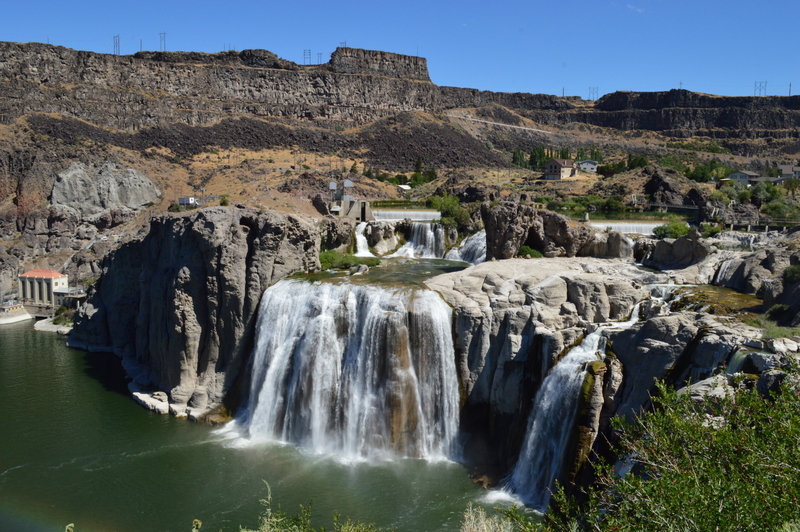 We visited the Shoshone Falls the next day, which was quite beautiful. We headed to Boise next, but by this point the highs were over 100. We had a last minute reservation, and a spot with only 30 amp electricity. Our air conditioners were running so much they kept throwing the breaker, and our spot had zero shade. It was so hot I didn’t take any pictures! We couldn’t take it, so we canceled our 2nd night there and ran for the border of Oregon, in search of cooler weather. I was going to suggest that you should have gone north in Idaho, but I just checked Stanley and it’s up near 90 in the day. When I went west in 2010, I didn’t take my sweatshirt off the entire summer. Perfect weather-60s and 70s. Glad I found your blog. Catching up, now. Have fun. Thanks for stopping by! Yes, I think our options were plenty limited in trying to escape the heat. We ended up in Oregon in a very shady site with 50 amps, so we were able to get some relief. Looks like the temps are going down a bit – thank goodness! Wow, too bad about the weather. We are sweltering here in Montana. Who would have guessed? So glad to hear about your great experience with Harvest Host. We have considered joining, but never heard any reviews. Are you all going back to Florida this winter? We are heading back there for the summer and then up the east coast in the spring. Hope to see you again. Yes, we will back in FL for the fall and winter. Definitely want to catch up with y’all then if not before! We’ll be in Oregon most of July and northern CA in August, before we start working our way back to FL. I’ll keep an eye on where y’all are going to see if we can meet up somewhere along the way. Previous Previous post: Grand Tetons and Yellowstone – in 2 days!